Recorded music can serve a variety of purposes. Sometimes it entertains, sometimes it empowers, and sometimes it merely documents the weaving of a particular thread in our cultural fabric. At various points in the last half-century these songs might have done all three. Of course, musically speaking, 1952 wasn’t so long ago. And the story of how these recordings came to be is central to understanding the document itself. In 1952, Charles McNutt was a young anthropology student in Albuquerque, New Mexico. He was also a student of the banjo, and he developed an interest in the instrument’s African (and African-American) roots. Influenced by the field recordings of John and Alan Lomax, McNutt set out to locate and record an African-American banjo player near his home of Memphis, Tennessee. His journey led him to Will Slayden, a sharecropper in his 60s who had given up the instrument when he became a Christian some two decades prior. McNutt rented a portable reel-to-reel tape recorder, loaned Slayden an $8 banjo, and captured an afternoon of history using a hand-held microphone. Slayden’s style seems distinct from other banjo players. 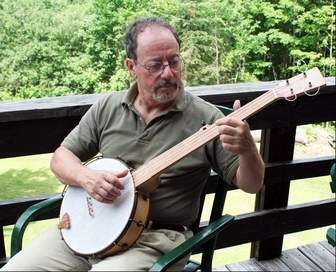 His banjo is tuned from a half-step to a full step below open G, and his drop-thumb or “drag-thumb” technique is largely percussive. Slayden consistently emphasizes the low strings, and he rarely plays up the neck or moves into higher registers. His sound bears little in common with the clawhammer style of old-time players throughout Kentucky, Virginia and the Carolinas. This music was obviously a product of the Delta region. (To put Slayden’s life and music in greater context, one should note that he was born more than a decade before Robert Johnson.) His repertoire included a mix of folk songs, spirituals and blues. Religious numbers such as “When The Saints Go Marching In”, “God Can Use You”, “Glory, Glory Hallelujah” and “So Glad” are only slightly more prevalent than the more worldly “Spoonful”, “Ain’t Had None In A Long Time” and “Good Thing I Got More Than One”. Also included are such standards as “John Henry” and “The Old Hen Cackled”. 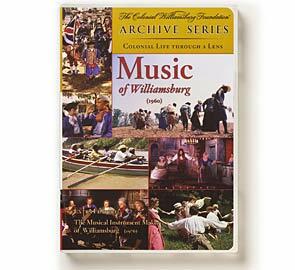 This disc contains twenty selections with fully transcribed lyrics, plus comprehensive liner notes by McNutt and musicologist David Evans. 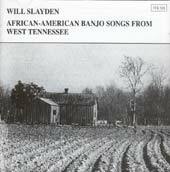 Ultimately, there are very few recordings of black banjo players from any time period. That fact alone makes this collection valuable. In the 1940s, Pete Seeger did have a unique perspective on the banjo. Ever since hearing Samantha Bumgarner frailing on a five-string at the 1936 Mountain Dance and Folk Festival in Asheville, North Carolina, Seeger had become an avid student of the banjo, soaking up its history, its styles and the peculiarities of players like Pete Steele, Rufus Crisp, Bascom Lamar Lunsford and Uncle Dave Macon. 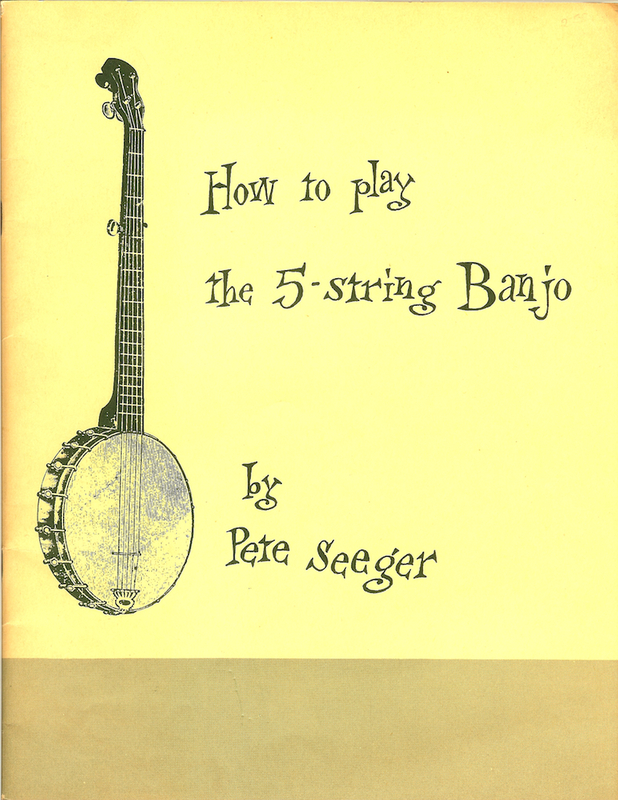 When Seeger self-published the first edition of “How to Play the Five String Banjo” in 1948, it was a compendium of information, with tidbits about the instrument’s evolution from “a possum hide stretched across a gourd” to its contemporary incarnation; advice on tuning and tablature; and a selection of picking patterns and samples of folk songs (including the tune that inspired Seeger’s first longneck, “Viva La Quince Brigada”). “It was 41 pages and it sold for $1.59,” Seeger says, “and I sold 100 copies in four years.” In the burnished manner of a man with an oft-told tale, he continues. “Then I ran off the mimeograph stencils again–or rather, somebody ran them off for me. I printed 500 copies, and they sold within four years. Then I got ambitious and I rewrote the book a bit and I rented an IBM typewriter and printed it by photolithography and ran off 2,000 copies, and that sold in four years. That was ’54, I think. 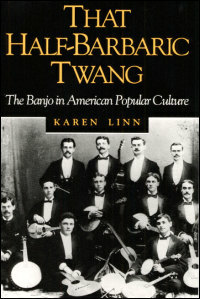 By the time it expanded to 72 pages, Seeger’s book had already been massively influential, with revisions covering trends like the pioneering three-finger, bluegrass wail of Earl Scruggs (which, according to Neil V. Rosenberg’s Bluegrass: A History, Seeger first heard around 1950) and the similar but less aggressive style of Ralph Stanley and his forward rolls. Seeger’s half-brother, Mike, is credited in the book with “assistance in preparing this [bluegrass] chapter,” but the younger Seeger humbly says that his contribution was essentially one night’s work. 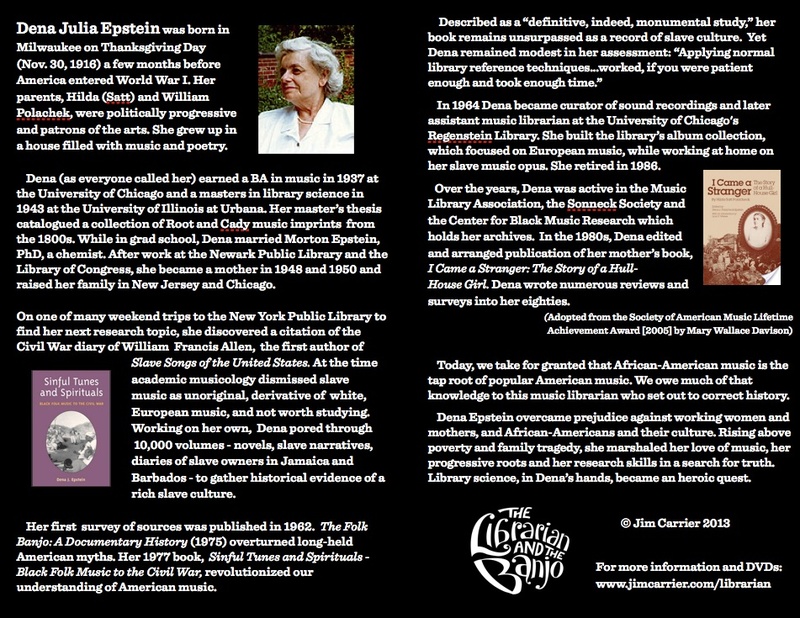 A condensed version of the book appeared within the sleeve of the 1954 Folkways LP The Five-String Banjo Instructor with Pete Seeger, a recording that, like the book, has long been supplanted by an entire shelf of hot-shot instruction manuals with attached CDs. But it was Seeger’s book–which coined the terms “hammering on” and “pulling off,” among others, in its landmark pages–that returned the instrument to American music. There’s a new banjo sound emanating from the Green Mountains that is catching on with players and audiences. 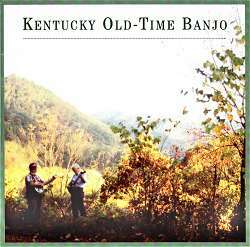 While the ripping-fast percussive sound of a banjo in bluegrass music is familiar to most, the more melodic, somewhat slower paced clawhammer style is gaining with local listeners. At open sessions in Montpelier, VT at Bagito’s or the Skinny Pancake, old time music has caught on and an integral part of that style comes from the clawhammer banjo style. “Clawhammer repertoire provides a window into the mid-19th century intermingling of African and white Celtic sensibilities,” he explains. Eno also sees in the music that clawhammer exemplifies a tradition that has come down through the years. Eno says the banjo is a fairly uncomplicated instrument, which appeals to many potential players today. If you want to hear traditional old-time music or join in there are two sessions in Montpelier: 3:30 to 5:30 p.m. Sundays at the Skinny Pancake; and a monthly session at Bagitos 6 to 8 p.m. each third Tuesday. Richie Stearns: From the time I was ten, as a child growing up in the early 1970s here in Ithaca, New York, I went to an alternative elementary school. I became friends there with a bunch of kids whose families had roots in Tennessee, and a lot of old-time music in their heritage. I was eleven when they took me to my first old-time festival in 1971 in Union Grove, North Carolina. I just happened to go along with them. I had no intention of doing anything with music beyond that. Once there I saw people who had come to the Fiddlers’ Convention from my own town; Ithaca had an old-time scene going on even then. Some people from my school were there as well and they had even put together a band for one of the competitions. Back home after the festival I started to think I might want to do something in a bigger way with music. I had already built a banjo in fifth grade with my wood shop teacher. Another teacher at my school had been part of the band that had formed for the Fiddlers’ Convention competition, so I asked him to be my music teacher in 1974. I started to follow and spend time with the local bands. There were two old-time bands in Ithaca: the Correctone String Band and the Highwoods String Band. They began hosting social events. I would go to hang out. There was a lot of music going on. The place was kind of a hippie alternative community even then. We were all kids but there was something about those bands that drew us to them. They were open to showing us how to get started, and they took us under their wings. The Highwoods had these big parties that would go on for a week. We would go camp out and listen and try to play along. We ended up going to Mount Airy [NC] and Galax [VA] for the old-time festivals there every year. Besides listening to the local groups and other old-time musicians we would listen to the Rolling Stones; Lou Reid; Bob Marley, when he came along; the Talking Heads, when they came along. All this music helped inform how we were developing our own music. At the beginning we had a band called Bubba George, which has played for years in various incarnations at the Finger Lakes GrassRoots Festival. Then around 1979 came the Tompkins County Horse Flies, as we called the band then. Some of these bands I played with were very open to playing things in a different way—including rock and other influences. We didn’t have any feeling that we had to keep the old-time music pure, although I think we were able to do that when we wanted to. When we would do, say, the conventions at Galax or Mount Airy and play with older fiddlers, I would try to play just what they were doing and not be disrespectful. What they did was so interesting to me. But when we were making up our own stuff and goofing around the other influences crept in very naturally. So I was able to experiment when I was very young without feeling like I was doing something wrong to the music. A Rabbi and a banjo player are traveling through the country with their friend from India when their car gets stuck in a ditch. Stranded, they walk to the nearest farmhouse and knock on the door. A farmer and his beautiful daughter answer the door. The farmer says he’ll be glad to put ’em up for the night and they can go for help in the morning. However, there is only room for two in the house, one of them will have to sleep in the barn. So, now the banjo player takes his banjo and goes off to sleep in the barn. A few minutes later, there is a knock on the door–it’s the cow and the pig!!! 1. South American Macaw: one is loud, obnoxious, and noisy; and the other is a bird. 2. Harley Davidson Motorcycle: you can tune a Harley. 3. Onion: no one cries when you cut up a banjo. 4. Trampoline: you take your shoes off to jump on a trampoline. 5. Uzi: an uzi only repeats forty times. See 271 banjo jokes here. 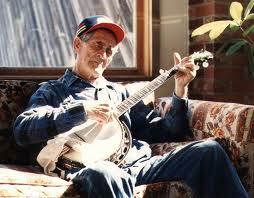 “Clawhammer Banjo,” County 701, opened with Wade Ward’s “June Apple” and “John Lover’s Gone,” two Virginia favorites. Then, a bold contrast, comes Kyle Creed’s “Darlin’ Nellie Grey,” a banjo solo based on a popular song written by one Benjamin Hanby in 1856. Wade Ward’s banjo performances are driving, rhythmic powerhouses, with a twangy, echoing timbre. Ward plays the main notes of his melody, and brushes across multiple strings to play chords in between the melodic phrases. Creed’s performance displayed all the hallmarks of his style—melodic more than rhythmic, with a frequent use of the fifth string as both a drone and a melody string, many slides and open strings, very few chords. Creed brushes across multiple strings, too, but does so more slowly than Ward, creating the effect not of a chord, but of a melodic grace note. But what really stands out after Wade Ward is Kyle Creed’s mellow timbre, reminiscent, perhaps of a xylophone or some other percussion instrument. This full and round timbre was what he called “plunky” and it would come to be an influence on players and builders of banjos, as will be shown in chapter six. 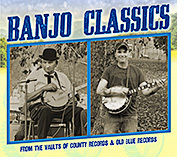 “Darlin’ Nellie Gray” is followed by “Ducks on the Millpond,” an old dance tune popular in Virginia and North Carolina, and Kyle uses it to demonstrate the lick that would come to be known, inaccurately, as the “Galax lick.” This move involves brushing across the long strings of the banjo before plucking the fifth string squarely on the beat to play a melody note, usually the high A.
plunky side of what would come to be called Round Peak banjo, Fred was the bluesy and inventive side. This is the second release of recordings from County Records and Old Blue Records, which contains – as much as possible – selections that have never been released before. For the first time, two of the tracks pre-date all of the County and Old Blue recordings. Those two were recorded in 1958. The 22 County recordings were made in the mid-60s to 1971, about a generation and a half after the first country 78 recording was released. By chance, the eight Old Blue recordings were made about a generation and a half after the County recordings. There are 32 tracks, but only 23 different tunes. The repeated tunes are because of different approaches, techniques or tunings. All the recordings have never been released before. This anthology has several purposes. One is to document the range of versions that exist in the tradition using side-by-side comparisons of the same and similar tunes. The second is to make the listener aware of some of the many artists working in the old time genre. The third is to reveal how the tradition persists and grows through the years. As with any art, the beauty of these pieces takes on more clarity with continued listening. For the budding musician there is exposure to a level of performance that sets a bar for future goals of performance. For those who love old time music this is an opportunity to hear more great music from a wide range of musicians. As with all great art, continued listening exposes more of the subtleties of this music, revealing the depth of riches contained in these performances. Hope this helps you start the year with a smile. More here, filmed in the same village as the clip above. Jatta, 55, is from Gambia, a member of the Jola people. He’s holding an akonting: a three-stringed instrument with a long neck and a body made from a calabash gourd with a goat skin stretched over it. Jatta’s father and cousins played the instrument, but he didn’t think much about it himself until 1974, when he was visiting the U.S. from Gambia, attending a junior college in South Carolina. He recalls watching a football game on TV with some of the other students. 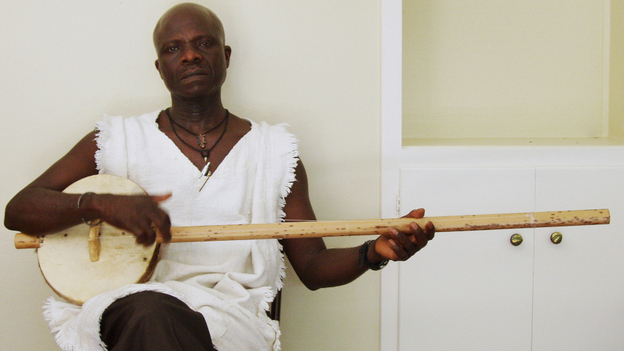 That experience put Jatta on a journey to explore the banjo’s connections with the instrument he grew up with. The banjo came to America with the slaves, and musicologists have long looked in West Africa for its predecessors. Much of the speculation has centered on the ngoni and the xalam, two hide-covered stringed instruments from West Africa that bear some resemblance to the banjo. But they’re just two of more than 60 similar plucked stringed instruments found in the region. For one thing, the akonting looks like a banjo. It has a long neck that, like those of early banjos, extends through the instrument’s gourd body. It has a movable wooden bridge that, as in banjos, holds the strings over the skin head. But for Jatta and other banjo scholars, most convincing is how the akonting is played. Players use the index finger to strike down on one of the long strings, and the thumb sounds the akonting’s short string as the hand moves back upward. When Jatta looked at early banjo instruction books from the mid-1800s, he found that they described an almost identical playing style. 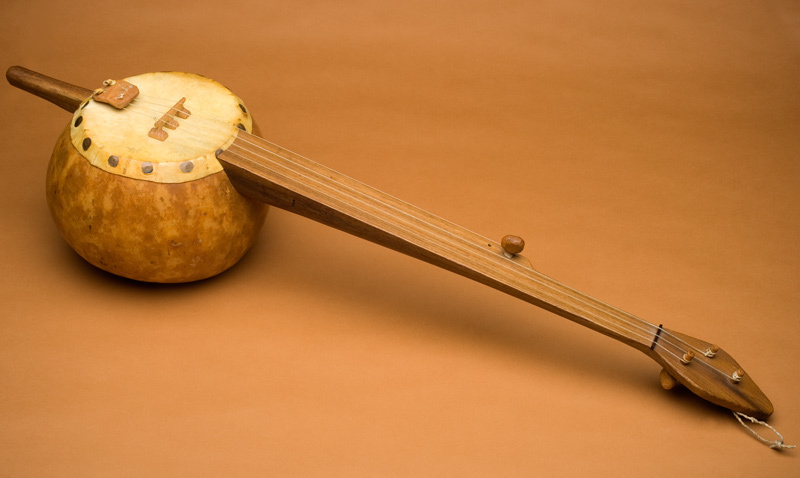 1) African gourd instruments (especially the Akonting from the Senegambian region of West Africa)—any number of strings. 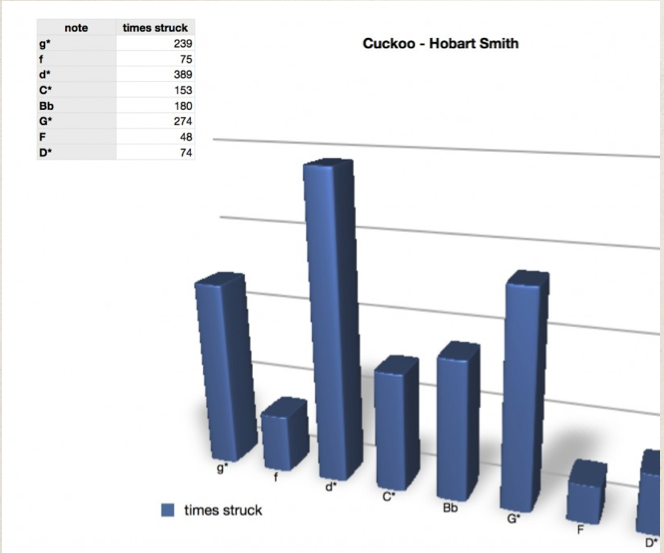 b) Banjo played Stroke Style – large rim, fretless, thick neck, gut strings, few brackets, often tuned low (famous makers: Boucher, Ashborn, and Teed). g) Emergence of dynamically complex rhythmic style—late ʻ60ʼs (the current “festival” style) (Al Tharpe, Richie Stearns, Stefan Senders, John Herrmann, Gordie Hinners, Mark Olitsky). 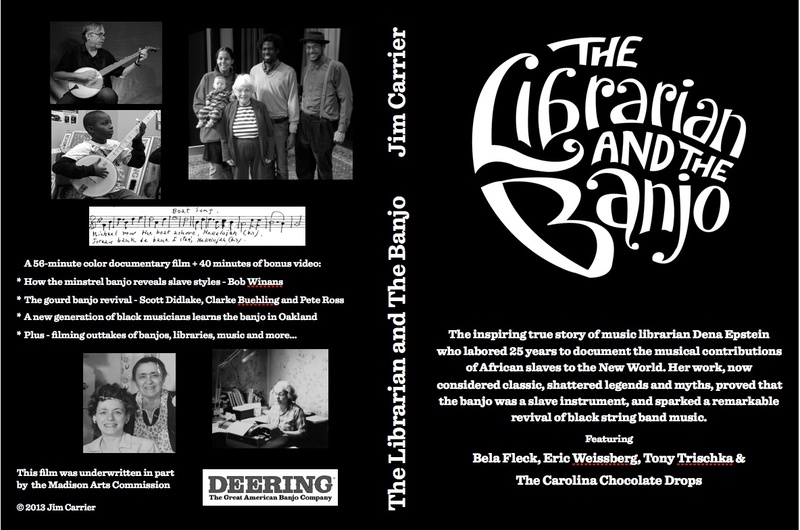 Check out the recordings their musicologists have selected for the banjo anthology below. For over a century, the Banjo has always been a vital part of the musical history of North America. Its early history is represented in this 40 tracks boxset by banjo specialist Gérard de Smaele. These titles reflect the adventure of the United States of America in an outstanding anthropological topic, detailed in a 36 pages booklet with both French and English notes. From its African and European origins until the roots of the “Folk Revival”, a decisive entry into American culture and identity. 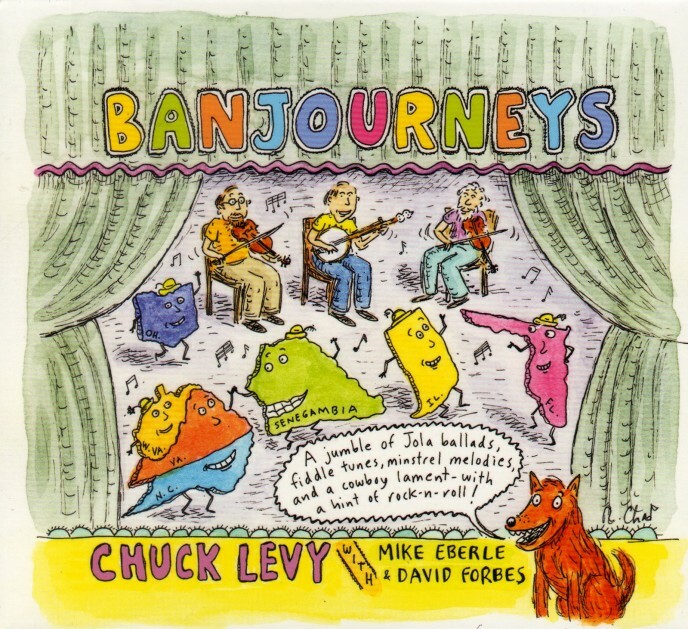 “Banjo: An American Five String History 1901-1956,” Fremeaux FA5179 Available here. Thanks to Paul Mitchel for posting this on his site. Read the extensive and informative liner notes to this groundbreaking 1964 LP there. Read an interview with co-producer Charles Faurot here.